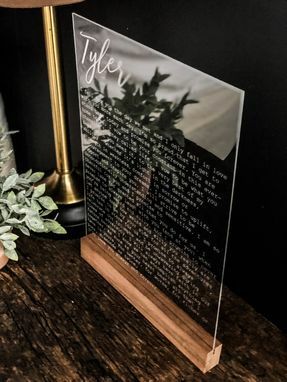 2 Engraved Acrylic Signs With Wedding Vows. Turn your wedding vows into a keepsake you can easily display. 11 x 14″ acrylic sign with Walnut stand. 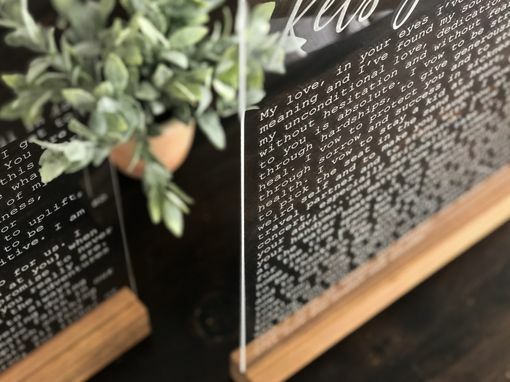 Sign is engraved with your custom wedding vows. 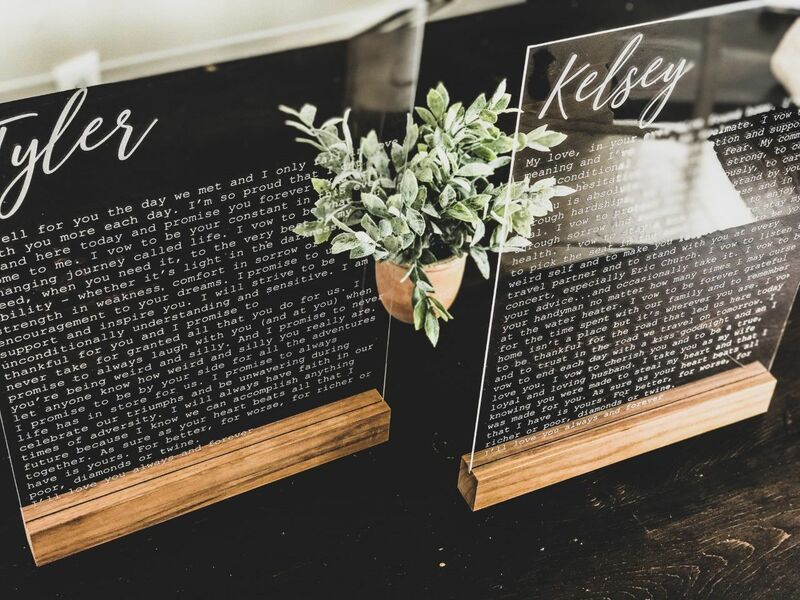 *leave wedding vows and names in 'notes' upon checkout. **Listing is for 2 acrylic signs.